The International Olympic Committee (IOC) Executive Board has suspended the Russian Olympic Committee, meaning Russian athletes cannot compete under the flag for the upcoming 2018 Pyeongchang Winter Olympics. 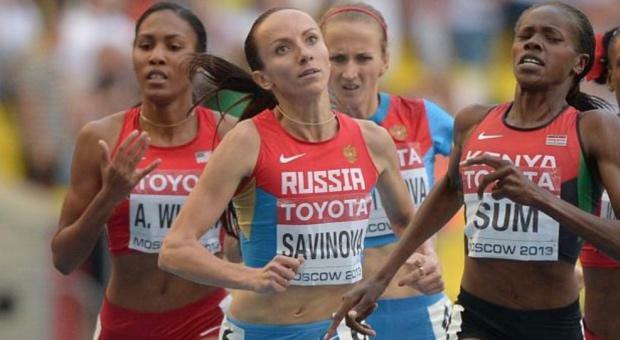 The ruling comes after the IOC's internal investigation of Russia's state-sponsored doping program across all Olympic sports, which has been widely reported in the media for the past two years. Athletes with a history of regular drug tests may apply to compete in Pyeongchang as neutral athletes. They cannot wear Russian uniforms or fly the Russian flag; if they win a gold medal in their respective event, the Olympic anthem will play as they climb the podium. The IOC has also banned Vitaly Mutko, the Russian Deputy Prime Minister, who was sports minister at the 2014 Sochi Olympics, where tainted urine samples were reportedly passed through a hole in a wall for clean ones that could pass inspection. Mutko remains head of the 2018 World Cup organizing committee. Prior to today, the "Russian ban" in international competition was limited only to track and field athletes, who were not allowed to compete in uniform at the 2016 Olympic Games or the 2017 IAAF World Championships. Earlier this year, the IAAF ruled that the Russian Athletics Federation would remain suspended, as they had yet to reinstate the Russian Anti-Doping Agency (RUSADA), or acknowledge the findings of the McLaren report, which helped expose the widespread nature of Russian doping in sport. Russia is not the first country to face a complete ban from an Olympic Games; South Africa was banned from 1964 to 1993 for its apartheid system. It is unclear how Russia may be affected moving forward and if they have a chance at reinstatement for the 2020 Tokyo Olympic Games.